Something important has gone missing in the town of Laurel Hollows, but no one knows what! When the mayor of the town offers a prize to anyone who can figure out what’s been stolen, super sleuths Alec Flint and Gina Rossi decide that this is just the kind of case they’ve been looking for. But will they be able to solve the crime? 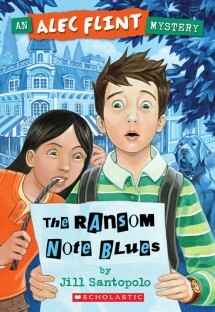 Readers of Encyclopedia Brown, Cam Jansen, and A to Z Mysteries will have something to cheer about with this series.